Did you know that your pet is talking to you telepathically and energetically all the time, just begging for you to understand them? I believe everyone is equipped to feel, connect and communicate with their animals. That does not mean pet owners are always interested in learning, which is tragic when you consider the consequences of poor communication, misunderstandings and lost opportunities for growth, healing and evolvement. Did you know that all animals communicate telepathically as well as through their body language and vocalizations? All beings, including humans, are born understanding how to feel and connect with others energetically over a distance. It is our ﬁrst language, an innate gift. Telepathic, energetic communication is the foundation for all communication whether it’s between humans and humans, animals and animals or humans and animals. Telepathy is considered the true universal language. Experts agree that approximately 92 percent of all communication comes through energy exchanges, body language and intention. Only 7 percent comes through the spoken or written language. Can you imagine how much information you are missing by not being more open and receptive to the world and beings around you? Professional pet psychics, also called animal communicators, have simply learned how to connect with animals through the magic of the heartmind connection. But anyone who loves animals can learn how to connect and communicate too. The truth is that when we are born, we innately feel and share information with everyone and everything around us through the energetic morphic field. But as we age, we may consciously forget how to communicate telepathically. As we grow up, we are taught spoken and written language, which is valuable in itself. But the other more subtle means of communication become largely unconscious and lost to many of us. The sad thing is they are right. Dogs, for example, usually become very good at using their body language to get across to us what they want or need. What do your dogs have to do to get your attention to demonstrate what they want? Do they ﬁddle with their bowl or bring it to you when they’re hungry? Do they paw your knee, bark and then run to the door to demonstrate what they need you to do so you’ll let them outside when they need to go to the bathroom? Do they look very intently at you for long periods of time, like they are trying desperately and urgently to tell you something very important? You know they do, and yes, they are trying to tell you something. Learning animal communication is an exciting journey into the self, the nature and reality of our world, a behind-the-scenes look at the many complex interconnections between us all, and the real truth about relationships. It’s also about discovering how to connect at deeper levels with other beings…more importantly, your animals. It’s important to know how to connect with your animal at a deeper level. Like humans, animals can experience an assortment of emotional and physical challenges which affect their health, well being and behavior. Since they don’t use the same spoken language we do it’s often a guessing game trying to learn how to help them when they are experiencing emotional, mental or physical distress. As with all problems, the place to start is with a conversation. They need to be heard, listened to and respected. What they tell you can make a huge difference in how quickly you can help them, in what actions you decide to take on their behalf, and how much money it will cost you, if any. Learning to communicate with your pet can transform and deepen your whole relationship, allowing and encouraging them to connect with you. As you learn to see and respect them as intelligent, responsive beings with spiritual qualities you can admire and learn from, you’ll begin to know them at a much deeper level. And they’ll delight in responding to you because now they know that you’re more intelligent and interesting than they thought! 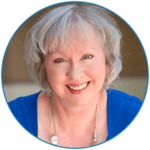 Author: Val Heart is a leading animal communication expert, speaker, bestselling author & master healer. Val is often called The Real Life Dr. Doolittle™ and Animal Communicator to the Stars. She is also the Founder of The HEART System™ for solving problems with pets and the Heart Catalyst for underperforming show horses to achieve their true potential. Learn how to talk to animals yourself! Grab your copy of my FREE eBook; Hidden Secrets to Communicating with Animals! Pets really have their own ways of communicating with their owners. Who would have thought that even pets can communicate to their owners through mental telepathy..such an amazing act.